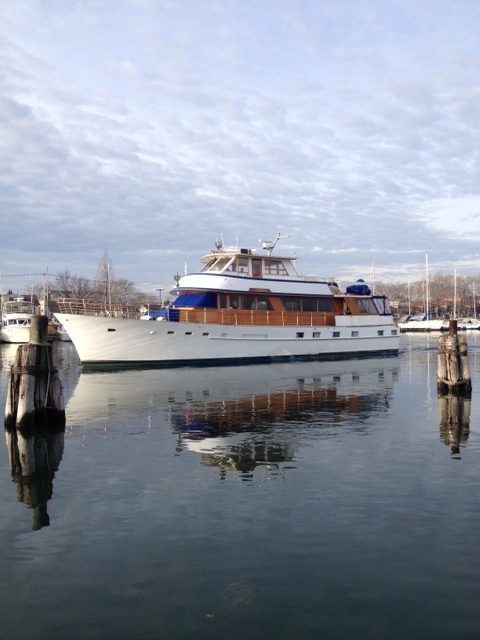 The Calypso is a 72’ US Coast Guard certified motor yacht with a capacity up to 45. 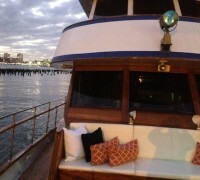 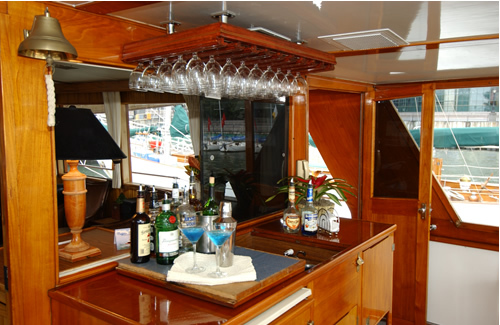 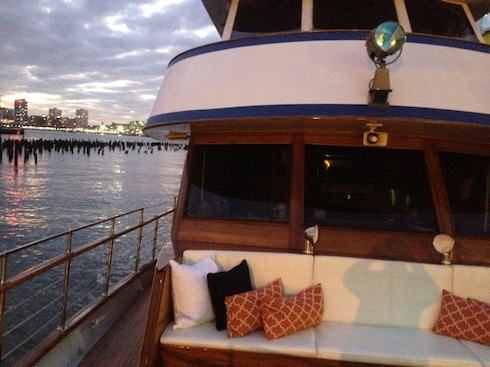 Calypso is a classically styled aluminum hulled yacht with mahogany cabin sides and teak decks. 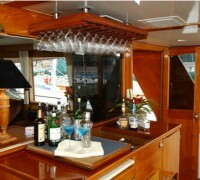 The average group size is 25 to 35 for excursions with cocktail and buffet style food and beverage service. 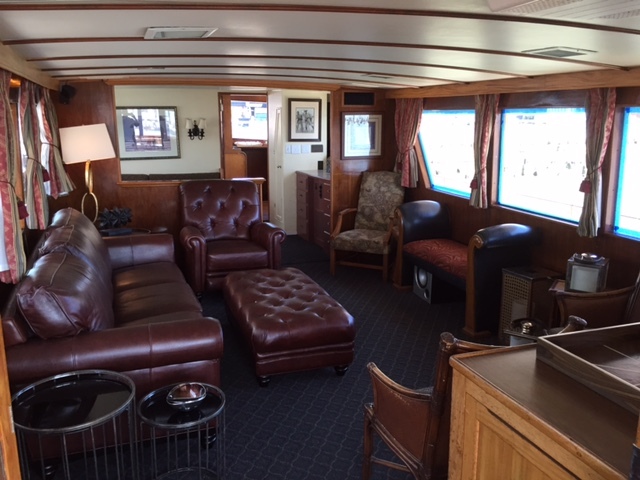 Accommodations for five guests, in 2 staterooms with two en suite heads are available for special arrangements term charters. 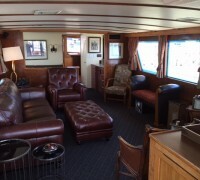 The mid-ship engine/laundry room separates the quarters (two cabins and dinette) from the guest suites, which are each accessed from private companionways. 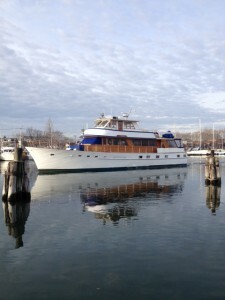 The summer cruising areas include the Long Island Sound and New York Harbor/Hudson River.